Single Page Applications (SPAs) are great for UX. 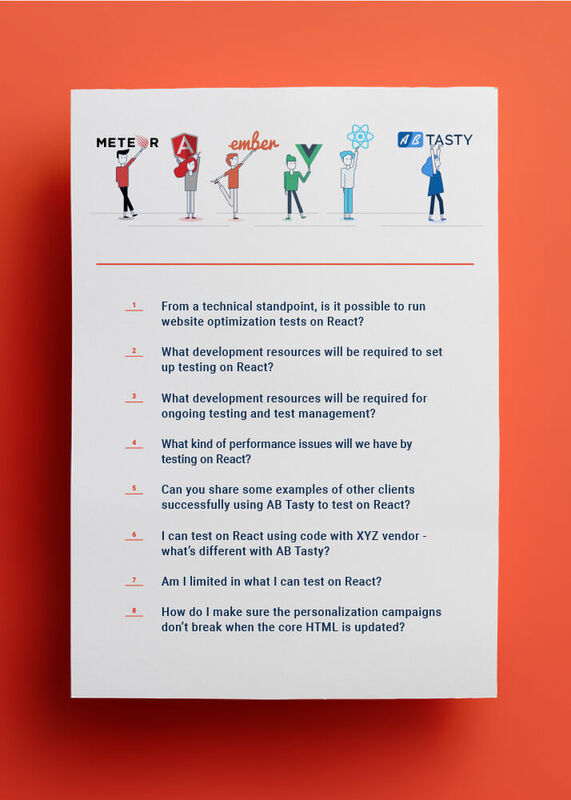 Specifically, our teams receive a lot of enquiries about AB Tasty’s compatibility with React. Is it possible? Will my tests work the same way? We’ve heard you and decided to collect your top 8 FAQs in this booklet.